The Siemens SITRANS LR560 2-wire, 78 GHz FMCW radar level transmitter for continuous monitoring of solids in silos to a range of 100 m.
SITRANS LR560’s plug and play performance is ideal for most solids applications, including those with extreme dust and high temperatures to +200 ºC. Unique design allows safe and simple programming using the Intrinsically Safe handheld programmer without having to open the instrument’s lid. The SITRANS LR560 level transmitter includes an optional graphical local display interface (LDI) that improves setup and operation using an intuitive Quick Start Wizard, and echo profile display for diagnostic support. Startup is easy using the Quick Start wizard with a few parameters required for basic operation. 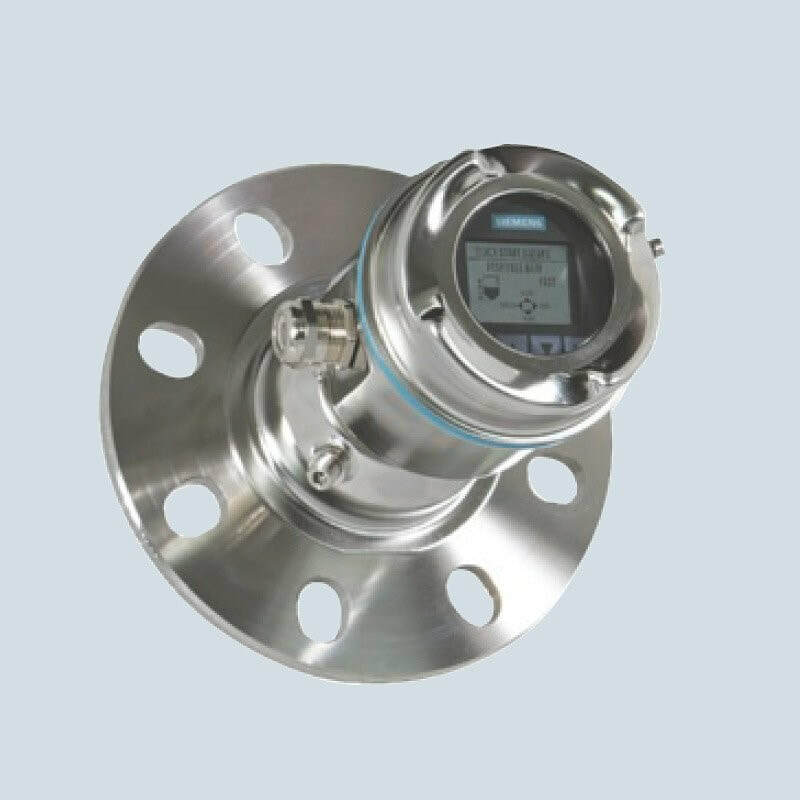 SITRANS LR560 measures virtually any solids material to a range of 100 m.
SITRANS LR560 2-wire, 78 GHz FMCW radar level transmitter for continuous monitoring of solids in silos to a range of 100 m.